This phone doesn't search for Bluetooth devices. Bluetooth Signal is very Weak compare to other phones. cannot open my nokia asha 501? 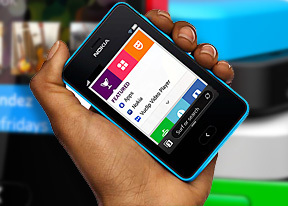 In Nokia Asha 501 there is no block list nd reject list..
Asha 501 is a nice phone, go nd get urs. Very nice, simple and easy to use phone. ashis mahapatra, 28 Jul 2014i love nokia and samsung galaxy faltussss, boring. no galaxy under &#8377; 10,000 could b... moreNokia asha 501 very nice. When teen patti supported ????? certificate is corrupt, contact the app provider, what should i do?